Products of Design MFA student Clay Kippen’s thesis, titled “Lucid: Seeing as a Tool for Learning,” examines the importance of tactile experiences in how we understand the world around us. Inspired by the work of neurologists such as Frank Wilson and philosophers such as Matthew B. Crawford, Lucid delves into the influence that tactile cues (things that we experience through touch and sight) have on the ways that we build problem-solving skills used in our daily lives. Much of this research points to the significance of Tacit Knowledge—a theory proposed by Michael Polanyi—where people actually know more than they think, and that this intuitive knowledge is gained through practice and firsthand experience. Lucid is a case study in building intuition through making, and is explored as a platform, digital service, product, public experience, and workshop. 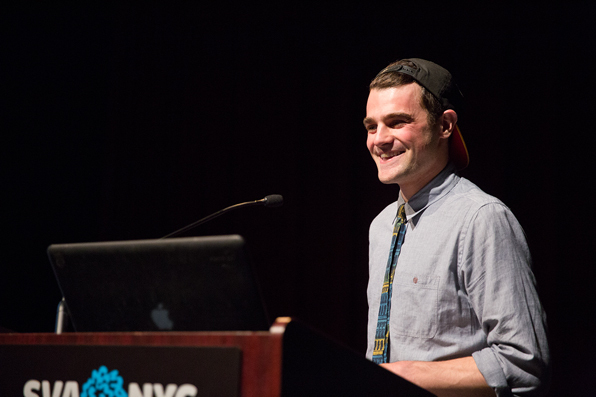 Clay’s design process is influenced by his experimentation with photographic media. Prior to moving to New York City, he lived in Pittsburgh, PA, where he picked up his father’s analog SLR camera for the first time. As he grew increasingly curious about the photographic process, Clay became involved with Pittsburgh Filmmakers community darkroom. It was there that he learned to enlarge black and white prints, which he describes as “this sense of an all-encompassing magic.” He continues: “When you drop the print into the developer and rock the solution back and forth, the image appears on the surface of the paper, seemingly out of no where. It’s as if you solve the mystery of where “pre-digital printing” came from, in just a minute and thirty seconds.” While working in the darkroom, it was the smells, the sounds, and the way that the darkroom felt that stood out in Clay’s mind—precisely because they were connected to the process of making. Reflecting on the trial-and-error process he learned in the darkroom, Clay turned to prototyping cameras as a means of exploring his thesis project. He started to build both film and digital devices by pulling from tutorials at Instructables.com, as well as camera calculators from Stanford University and Mr. Pinhole. Prototyping cameras was an exercise in building tacit knowledge; Clay went out and tested his models, finding that certain aspects of his designs yielded better results than others, depending on a variety of factors. Parameters such as the diameter of the lens, the distance from the lens to the sensor plane, and the shape of the camera have a direct effect on the images that a camera can capture. 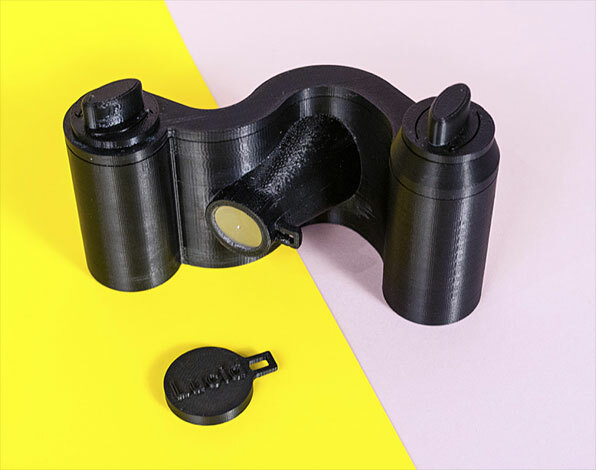 Clay soon realized that this design process involved more than exploring photography, but rather required him to delve into the physics, chemistry, and mechanics of camera design. With subsequent iterations of his first 35mm film camera, the models yielded more consistent results. Over the period of the spring semester, this exploration resulted in a series of 3D-printed pinhole cameras. A pinhole camera is a light-tight box with a small opening (lens). When light is reflected off of a subject in the front of the camera, the light travels in a straight line through the pinhole until it hits the film/sensor plane on the opposite side. If the pinhole is the correct distance away from the film/sensor plane, then each ray of light hits its own spot, creating a recognizable image. 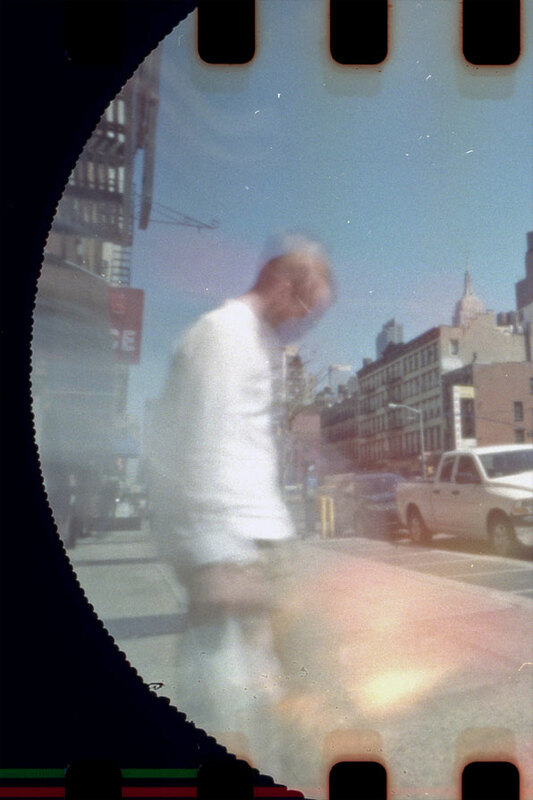 Sometimes, however, a pinhole photograph will appear fuzzy or blurry. This occurs because the light rays overlap each other as they strike the back of the camera, indicating that the lens is not at the optimum distance from the sensor. As the light is passes through the pinhole, it continues in a straight line, resulting in an image that appears upside down. This phenomenon occurs in all lens-based optics, including our eyes. (When we see, it is our brain that “flips” the image back right side-up for us so that we can feel properly oriented. This exploration into how the camera works inspired Clay to want to share these insights with others. He felt that the best way to do this was to merge the old magic of analog photographic apparatuses with the new magic of digital devices. The result was the Lucid Modeler. 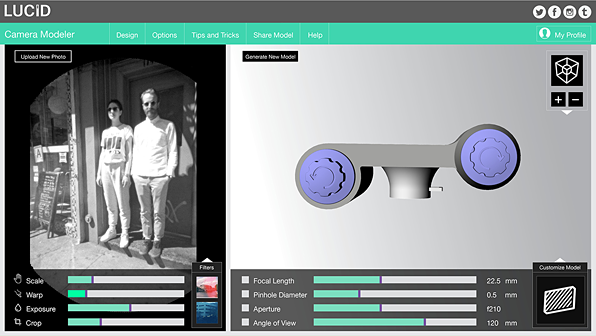 The Lucid Modeler is a platform designed to teach the inner workings of cameras and images through a browser-based reactive 3D modeling tool, where everything is connected via parametric relationships. 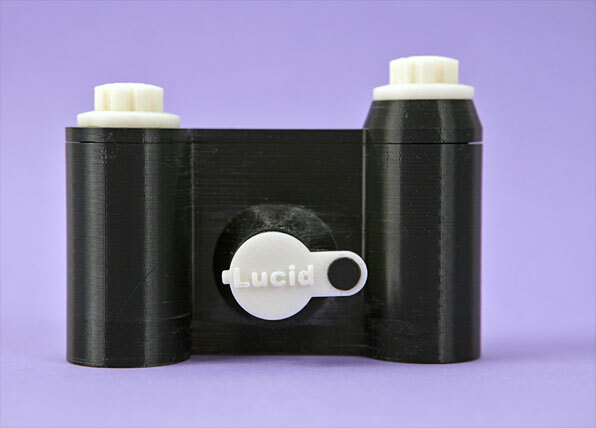 The Lucid Modeler is simple to use: you upload a photograph—or choose a photograph from a series that is available on the site—and then software generates a 3D model of the camera that would have produced that photograph. On the right side of the screen is the camera model, and on the left side is the image. Underneath both the camera and the photograph are sets of sliders. When you adjust one parameter in the interface, you see how it directly affects everything else—thus demonstrating specific relationships that camera design and creative effects in photography have with one another. The sliders that correlate with the camera are specific to camera functions: For example, there are settings for focal length (the distance between the lens element and the sensor plane), and the aperture (the size of the opening for light to travel through the lens). The sliders that correlate with the photograph pertain to specific creative effects that you can achieve in your images. Clay’s favorite effects slider is the warp tool: As you move the warp slider to the right, the image becomes distorted, and at the same time the shape of the camera body bends. The more you warp, the more the picture is stretched and the more the camera bends. By dragging the slider back and forth, the user can see that the shape of the film plane correlates with the way the image appears. If the film plane becomes skewed, then the camera sees at a much wider angle than the human eye, yielding distorted results. Other examples include increasing the focal length of the camera (elongating the length of the lens), or manipulating depth of field (increasing and decreasing the size of the lens opening). 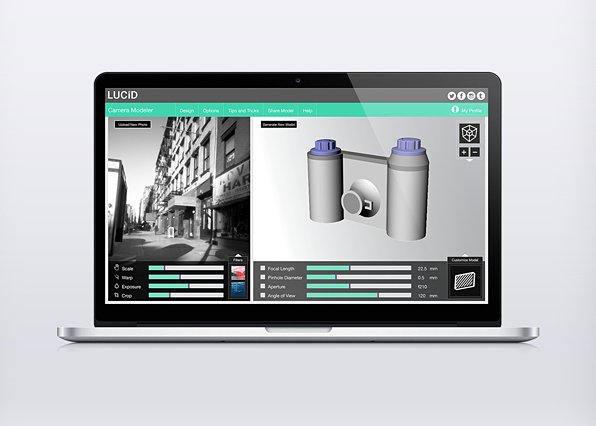 Through simple and delightful interactivity, the Lucid Modeler provides an ideal tool for teaching basic photographic principles and understanding these principles through immediate 2D and 3D feedback. 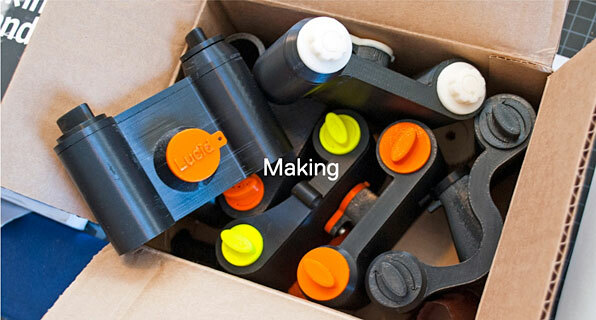 Once the settings in the model are adjusted to your liking, you can then choose to 3D print the model from the Lucid service, or simply download the files if you have access to your own 3D printer. 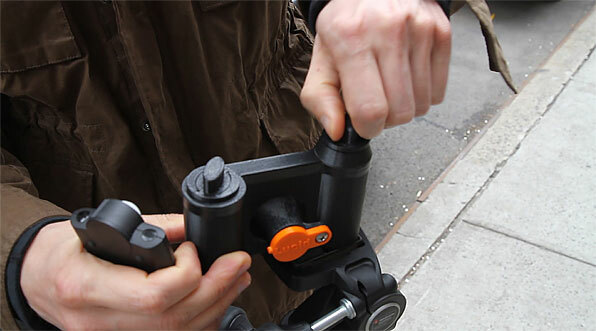 Once the camera is completely printed, you assemble it and go shoot some photographs. Since the goal of the Lucid Modeler is to help people learn about and become re-engaged with photography, Lucid’s online community supports discourse through discussion forums, and helps users share their work through contests, MeetUps, and gallery events. Continuing the pursuit around the potential of gathering community through the art of photography, Clay began building large-scale versions of the pinhole camera for a public experience. These performative objects became a vehicle to teach people about how cameras work in true physical space. He started with the idea of a public photo booth, incorporating lens-less pinhole cameras. He then built a series of prototypes, where light would enter through the pinhole in the front of the camera, and users could place their mobile phones to capture the resulting image projected on a screen at the back. The High Line Park was chosen as the sight for the public experience; (Instagram reports that the High Line was one of the most photographed locations in the world in 2013). The final Prototype was titled #ClayObscura, and was documented on video, and the #ClayObscura hashtag provided a “real life Instagram filter” for people to experience in physical space. As a final gesture of the thesis work, Clay proposed Lucid as a broader platform for learning. Since the Lucid Modeler proved that much can be learned and appreciated when we move from physical to digital and then back to physical again, Clay wondered what else, besides photography, could be taught through this transposition; through the re-physicalization of phenomena. Inspired by the work of other artists experimenting in this, space such as Amanda Ghassaei (who wrote an algorithm translates digital music files into 3D-printed records), Clay proposes that Lucid could be tailored to teach many subjects beyond that of photography. Perhaps the Lucid platform could be used as a visual tool to understand physics, or chemistry, or sustainability, or civics? Since the purpose and literal definition of Lucid are “to make clear,” the possibilities for the platform seem limitless. Read more about the Lucid project, including subject matter experts and research protocols, in the PDF above. See more of Clay Kippen’s work at his website claykippen.com, or his thesis blog claykippenthesis.tumblr.com, and email him at claykippen[at]gmail[dot]com.